Superhero game Injustice: Gods Among Us pits the comic book world’s caped crusaders against its perennial villains. The game is free to download onto smartphones but if you want to speed up play, booster packs can be purchased at the click of a button. So easy, it’s child’s play. The real injustice may come when you get the bill. Consumer member Wendy faced a credit card bill close to $500 after her two young sons downloaded the game. It wasn’t the only offender. Over two months, the boys racked up more than $2500 playing supposedly “free” games. Unbeknown to their parents, the kids had entered their father’s credit card details into their iPod and accumulated the debt playing a series of games. The bill from wrestling game WWE Immortals amounted to $650. In a single transaction on another free-to-download game, Wendy’s son spent more than $150. How can free games end up costing so much? The answer is the “freemium” gaming model. Freemium games are big business and young consumers are a target. Developers offer the games to download and play for free from app stores. But the games can be stacked with in-app purchases that players can buy to speed up play or add features. There can also be options to make play easier or just alter the game’s appearance. This year’s hit game Pokémon Go is among the most popular of the free-to-download examples. Players don’t need to spend money to catch the game’s imaginary monsters. But buying the game’s virtual currency (PokeCoins) can make your monster-catching life much easier. You fork out real-world money to buy the coins, which you use to buy PokeBalls and other in-game items to lure and catch more monsters. 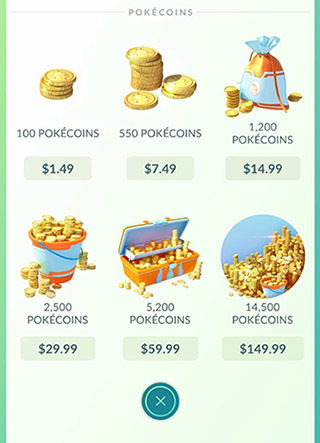 PokeCoin packages range from $1.49 to $149.99. Net revenue from the game was estimated at more than $280 million in the first month of sales. Similar hooks are used in other games. In Kim Kardashian: Hollywood, a freemium game endorsed by the reality star, players attempt to become an “A-list” celebrity. But the journey to stardom is tiring work. Luckily if you run out of “energy”, in-game currency or K-stars, you can pay to top up. Earnings reportedly topped $100m in the game’s first six months. According to mobile marketing firm Swrve, the majority who play these games never pay money. A March 2016 report by the company found only 1.9 percent of players who played that month spent money and 39 percent of those payments were no more than US$5 (NZ$6.80). Where do the big profits come from? Game companies refer to a small proportion of high-spending players as “whales” and they do everything they can to catch them. It’s not just children who get caught up chasing pocket animals or aspiring to be like their favourite celebrity. But young players are considered to be particularly susceptible to the hooks these games use. A European Commission (EC) report this year highlighted the vulnerability of children to in-app purchases. Its analysis of 25 popular games found many prompted players to make purchases to keep playing or improve the “game experience”. The report found exposure to these prompts, without any warnings or other protective measures, resulted in children spending more on the games. The youngest of the 485 children in the study, aged 8 to 9, were the most likely to click the buy button. Several children interviewed for the study also said they’d bought extra features without properly understanding they cost real-world money. Scrutiny from regulators in Europe and the US has prompted changes. 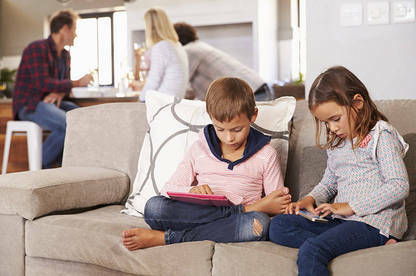 Action taken by the US Federal Trade Commission in 2014 saw Apple refund US$32.5m (NZ$45.4m) billed for in-app purchases incurred by children without their parents’ consent. The Apple App store and Google Play label games that contain in-app purchases. But the industry remains largely self-regulated and the onus is on parents to make sure their kids don’t get trapped by the gaming apps they’re playing. The EC report argues children aren’t being adequately protected from these traps and calls for regulators to do more to make sure young players aren’t exploited by unfair marketing practices. The report also flags measures developers could take to reduce the risks to players of racking up big bills. It says inserting activities to break the game’s flow and adding warning messages can reduce the amount children spend. Talk to your children about freemium games, how they work and the real-world impact of making in-app purchases. Protect your credit card details. Keep your cards secure and don’t save your details on your devices. An iTunes card or a debit card containing a small amount of money are safer options. This set amount can’t be exceeded. Set up parental controls on any device that your child might use. You can turn off in-app purchases altogether. Choose a strong password to protect your device. Money spent on in-app purchases without authorisation may be recoverable from the app store or your bank as a “chargeback” (refund) on your credit card. Wendy has managed to get a refund of the money spent on freemium games by her two sons, as her bank accepted the transactions weren’t authorised. It’s not just freemium games where the wallets of gamers are being targeted. Computer games can come with their own traps. A feature of the popular first-person shooter game Counter-Strike: Global Offensive is its “mystery weapons crates”. These are opened with a key which you buy. The crate may contain a rare in-game item, which can be kept or on-sold, sometimes for hundreds of dollars. Or it may reveal an item not even worth what you paid for the key. This type of lure is increasingly common in computer games and has a similar random reward appeal found in gambling. Other games employ simulated gambling scenarios where players visit casinos and play slot machines. The use of gambling scenarios in games popular with teen players has been a target of criticism. Although the games are age-restricted, it’s not difficult for underage players to get access to them. Social gambling games are also widely available, including through popular platforms such as Facebook. Dr Maria Bellringer, associate director of Auckland University of Technology’s Gambling and Addictions Research Centre, says simulated gambling games often misrepresent the odds of winning, leading to a false sense of skill. Dr Sally Gainsbury, a gambling researcher at the University of Sydney in Australia, says research shows youth can perceive they’ve developed “skills” in these games that make it more likely for them to win in gambling when this is not the case.